EssentialPetProducts.com is a wholesale web site for Authorized Retailers only. If you like to purchase this product, please visit these Authorized Retailers. In addition to being an Authorized Retailer with Essential Pet Products, you must also be a Radio Systems Corporation Authorized Retailer to purchase this item at wholesale prices. Please contact us for information on becoming an Authorized RSC Retailer. 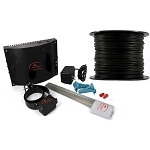 The Premium In-Ground Pet Fence is the newest pet containment system offered by PetSafe. 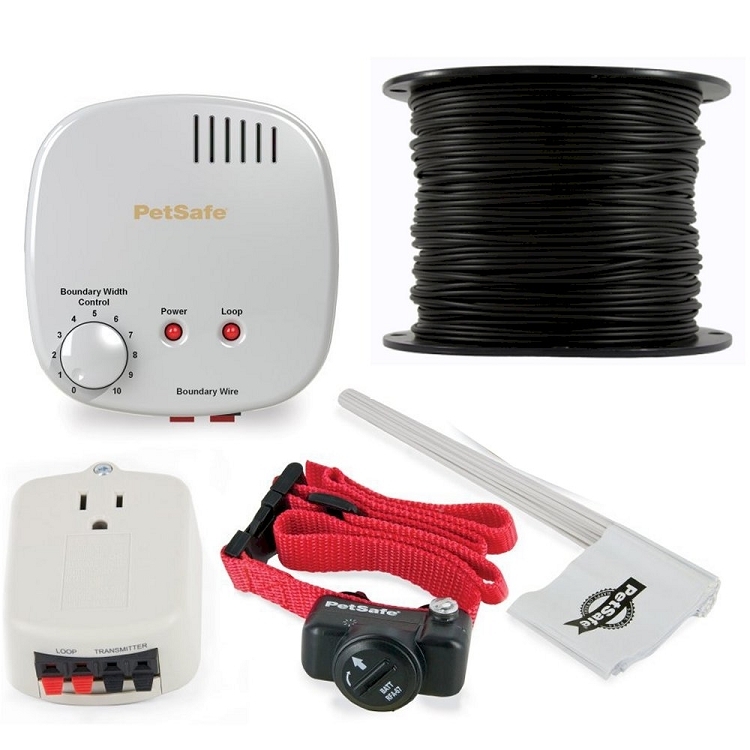 This containment system keeps your pet safely contained and secure in your yard. This pet fence comes with 500 feet of wire and 50 training flags and can cover up to 5 acres with additional wire and flags. You'll place flags around your yard to train your pet where his new yard boundaries are in fun, quick training sessions. Most pets learn their new boundaries quickly. If your pet gets too close to his new boundaries, the waterproof receiver collar reminds your pet with a warning beep, followed by a safe, gentle static correction if he gets too close. You can have an unlimited number of pets on this fence by purchasing an extra collar for each pet. 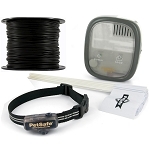 This Pet Fence Kit includes everything you need to contain one pet in a yard up to 1/3 acre. 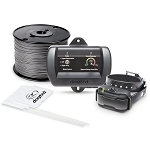 With additional wire and flags, you can enclose up to 5 acres in size. With additional collars, you contain an unlimited number of pets. How Much Wire Do You Need? Copyright EssentialPetProducts.com. All Rights Reserved.